You may be wondering… Walkway Workstations offer FREE walking, FREE device charging and FREE internet access. How does that work!? Walkway relies upon forward-thinking, community-minded organizations like you to join us as sponsors. And there’s a lot in it for you…. WALKWAY SPONSORSHIP IS AN INNOVATIVE AND HEALTHY ALTERNATIVE TO TRADITIONAL ADVERTISING. Create a social-conscious, health-oriented brand image. Foster goodwill with consumers, prospective and current employees alike by making coveted wellness resources available in a traditionally sedentary setting. Feel good knowing your sponsorship directly contributes to the health and productivity of our community. WHAT DOES WALKWAY SPONSORSHIP INCLUDE? 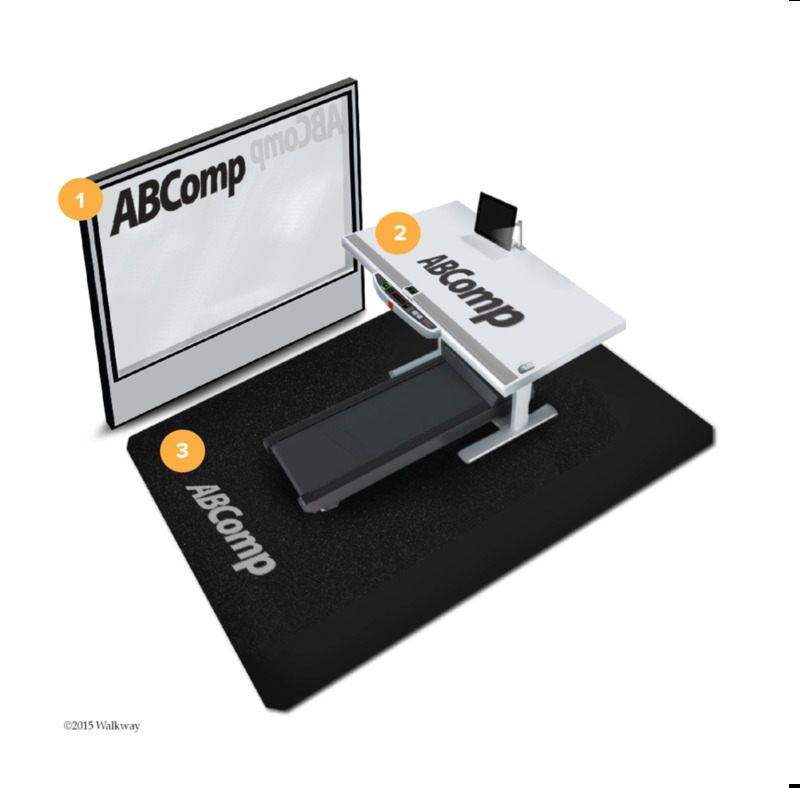 Walkway Workstations are custom branded with your logo. This includes the privacy partitions, desktop and floor mat. At the MSP airport, that’s up to 25,000 impressions per day - with sponsorship of all three workstations. VISIT OUR SHOWROOM FOR THE FULL EXPERIENCE! Walkway users are highly engaged. Your brand and content is featured throughout the entire user experience – an average of 12 minutes per user. Sponsorship includes a welcome screen, health promotion video, and digital banners. Walkway sponsors are perceived as healthy, charitable, and innovative organizations, deeply committed to their communities. Pending your approval, we highlight our valued sponsors on our website, social media and in PR materials. And with Walkway’s highly-anticipated launch, you’ll get to ride the PR wave. Walkway is deeply appreciative of our sponsors and in-kind donors! WALKWAY STANDS BEHIND OUR SPONSORSHIPS. Risk Free Trial: If you’re not fully satisfied after the first month, we’ll refund the balance of your sponsorship. Exclusivity: We’ll guarantee your organization competitive exclusivity at your site throughout the duration of your sponsorship. Reporting: We provide monthly reports that detail the number of users, average duration, and user demographics to support your investment. YOU CAN'T AFFORD TO SIT THIS ONE OUT. Take the next step. Contact us for pricing, specials and more information.